Before we left on our Colorado trip, the teenage girls at church got together to make two quilts. 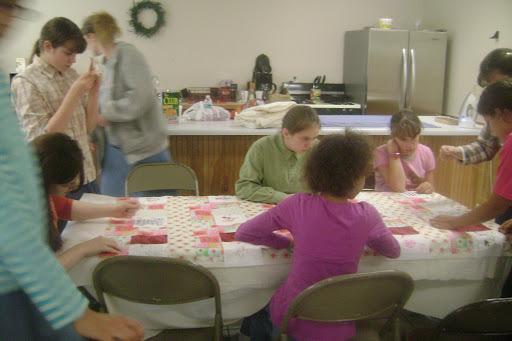 We gave 10″ blocks to ladies and girls at the church who either embroidered, painted or wrote on them. 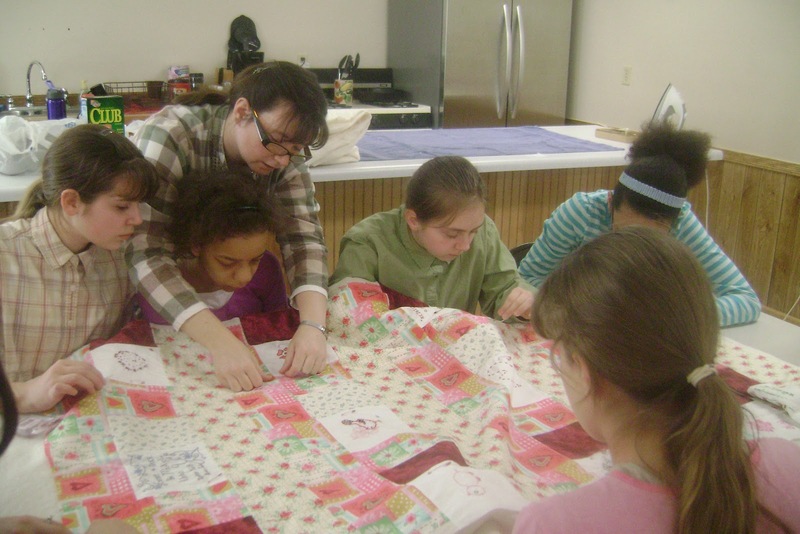 Then a few of us ladies pieced the quilt together. 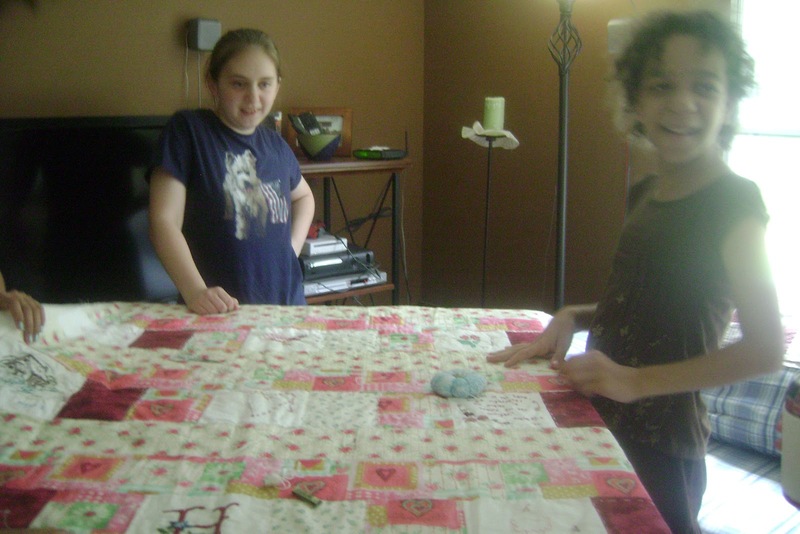 The teen girls did the quilting. 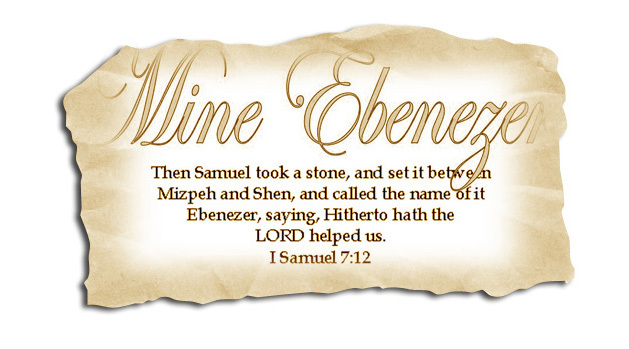 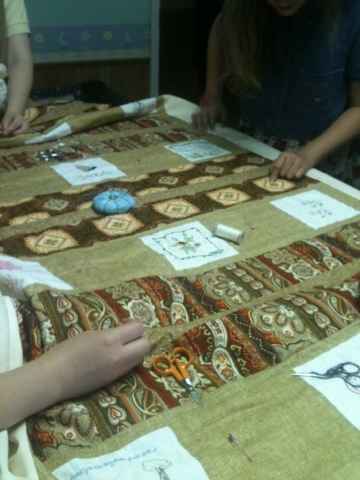 The one pictured first was for our Pastor’s wife, Mrs. Hoyle. Her birthday was the day before the trip. 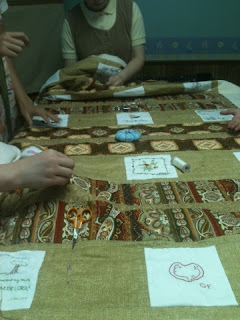 Sorry, no pics of the finished quilt. 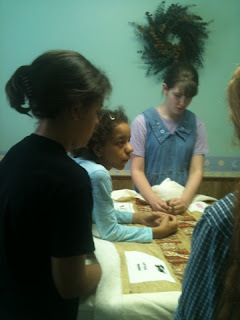 Colorado and presented to her that Sunday. 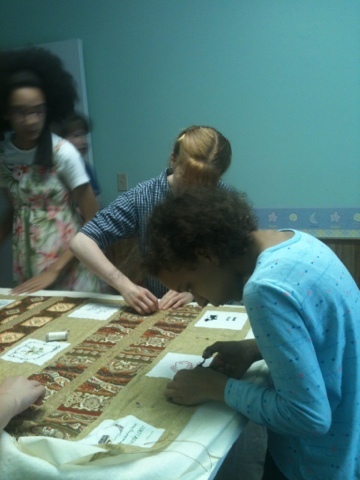 The girls really enjoyed doing the quilts and it was a blessing to work with them.